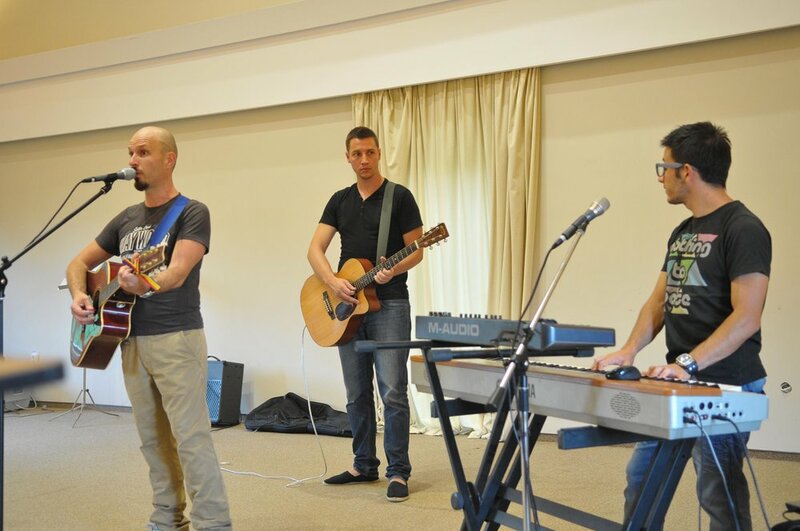 We spent 7 Sunday's speaking at 11 churches throughout Australia. We traveled from Melbourne to Western Perth to South Adelaide to East Brisbane to East Sydney and back to Melbourne. Becky spoke to the youth in churches and to a Christian High School during their chapel time. She talked about depression and why young people go through it. She shared her personal life and her faith in God. We pray, that because of her testimony, lives were changed. It was a truly marvelous time in "the land down under." The retreat in July 2011 was one of the best. It was a great opportunity to give families of special needs children a few days of rest and to connect with others. Becky's Hope was grateful to Chris, Alina and Ligia for volunteering to come and lead in worship. We were also blessed to have Dr Alan and Paulette Baribeau as part of our team. The retreat in July 2012 was also an amazing experience. Again the opportunity to give the families a few days of rest was our goal but more than that, to speak into their hearts subjects of Forgiveness and Restoration. These subjects changed the lives of the mothers and fathers there and helped them view their speical needs child and their circumstance in a whole new way. Becky's Hope raised funds in 2011 and 2012 for the retreats that were to take place that year. All the proceeds went towards paying for the families to come for a week to the retreat. Their housing, meals, materials and even transportation was paid for. In 2011, we held the fundraiser at the Bright Shawl with Bill Taylor as the MC. The keynote speaker was Ligia Luca, the leader of the support group for Becky's Hope outreach in Romania and also Michaela Paicua who herself is a mother of a special needs child. In 2012, the fundraiser was once again held at the Bright Shawl. The MC was Bill Taylor and the key note speaker was best-selling author and pastor of Oak HIlls Church , Max Lucado. Becky's Hope was honored to host KENS 5 Backyard BBQ. KENS 5 TV Station recognizes different organizations who do volunteer work in the community. Chief Meteorologist Bill Taylor, who was VP of Becky's Hope at the time, broadcasted the weather live from the event and promoted Becky's Hope.